Rose Hill is a scenic single family planned community in north Buncombe County. Developed initially as a detached condominium project for a “lock and leave” retiree lifestyle. BEA provided all phases of civil and environmental engineering as well as surveying. BEA planned the community with “zero lot lines” to capitalize on the fantastic views on the mountains and maintain the needed density. This planning hinged on providing a community onsite potable water system and onsite wastewater system. 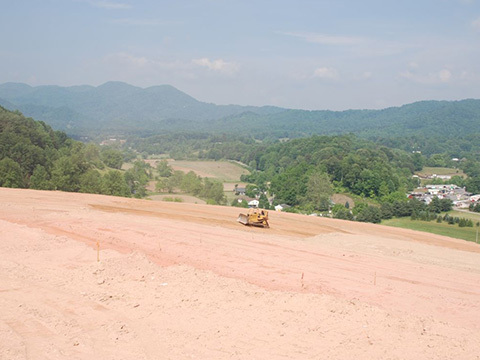 The wastewater system was one of the first of its kind in Western North Carolina with tertiary treatment and drip irrigation fields as well as intricate grading & erosion control plans for extensive fill slopes. Complete surveying services were provided by BEA to include the initial boundary survey, topographic data collection for engineering design, construction staking, final as-built surveying, and final platting of the subdivision.